Synopsis: Dorothy and Toto are at it again, but this time in RPG form, taking the classic characters on an adventure to help the ominous wizard continue his reign over Oz and ultimately be sent back home to Kansas. The story begins in the same way as the timeless classic film, with a tornado that consumes our pretty little damsel and her loveable dog, sending them to the faraway Land of Oz, where she follows the yellow brick road to team up with the Strawman, Lion, and Tin Man on her journey to the Emerald City. 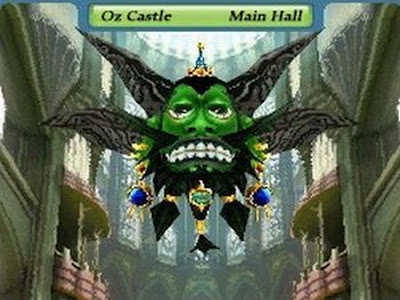 Four witches are trying to take over the fabled land and your task is to help the wizard prevent them from taking over, because if the wizard leaves his castle, he will lose his kingdom to them. This new interpretation the well known story and what happens after the foursome reach the Emerald City is brought to you by Media. Vision, the same team behind the Wild Arms series. Praise: The new control system is unlike anything previously seen on any other title for the DS and DSi, using a trackball on the touch screen, so that navigation of your character strictly involves the stylus. Movement is based on the direction and speed of interaction with the trackball, and works amazingly well. 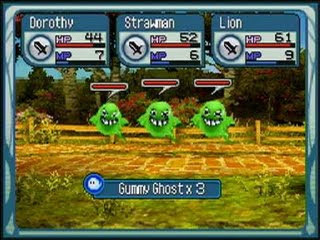 The turn based combat is easy to learn, while keeping strategy in mind when determining which characters to use against the different types of enemies. Character customization is in place allowing the player to upgrade weapons and clothing to help as they progress through the story and encounter stronger enemies and bosses. The storyline does a great job to keep the player engaged while also providing large amounts of content so one cannot just blow through this title in a few hours. The soundtrack is also something that is not to be missed which is not something I normally do not rave about, but fits well to the gameplay had me remembering tunes from the movie. Gripes: This title is great for beginners as combat is automated with suggested moves when health gets low, and also determining who each character is to attack. You are able to change your move set, but in most cases, you do not need to. While most will appreciate this type of help, those who want a challenge, will think this assistance takes away from the strategy of completing the game. 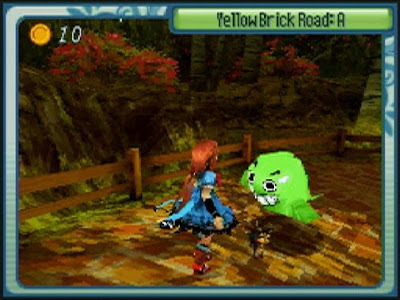 Beyond the Yellow Brick Road also boasts of innovative graphics superior to previous titles for this console, unfortunately, I was unable to notice a difference from previous high production RPG’s for the DS. 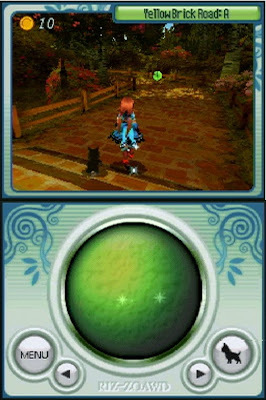 Overall, this trip back to the land of Oz is a strong game that will spend a lot of time in my DS, as I am about ten hours into the game and not even half way to being sent back to Kansas. The new control flows extremely well with no frustration through execution. The characters in which you grew to love in the movie have the same persona and have their own special strengths and weaknesses to ensure they will be in constant rotation, without emphasis and any single character as seen in most RPG’s. Fans of action adventure and role playing genres alike will enjoy picking up this game and not be disappointed in amount of time spent to try and find their way home to Kansas. 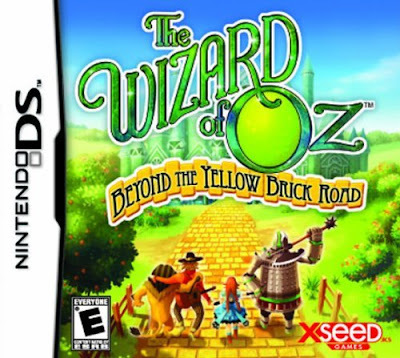 Wizard of Oz: Beyond the Yellow Brick Road is available now on the Nintendo DS and DSi.